"See if HomeQuoteDirect can give you a great deal on your home insurance. 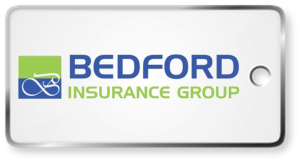 We are specialists in home insurance and this is obvious from their attention to detail and sound advice." Keycare Insurance Cover now Available from Us! Treating mildew can be a bit of a pain, If you notice that you have mildew on the walls in your home, then you should act quickly as left untreated, you may well have a health issue on your hands. A huge 84% of UK households have gas central heating, making radiator maintenance an essential job for most of us. But while it’s simple enough to carry out, it’s a task we often overlook. Knowing how to bleed a radiator can make your heating more energy efficient, keep your boiler in peak condition and it will save you money on gas heating costs. And a bit of basic know-how can prevent all kinds of problems; from inefficient heating to rust, leaks and dreaded boiler damage. Even though they’re “out of sight and out of mind” for the majority of the time, your gutters actually play a huge role in the structural integrity of your house, and keeping them clean is a great way to avoid the potentially costly expense of gutter repairs. How to get rid of mould… For good! Mould and mildew are a nightmare for any homeowner. They’re an eye-sore, a health hazard, and can spread like wildfire. Whether you’ve spotted a small patch of mildew in the bathroom or a larger chunk on an external wall, getting rid of it should be your first priority. The next step is to find out what’s causing it, so you stop it from happening again. Home security is of the utmost importance, especially over the festive period – Homeowners across the UK are given warning today that their property could easily be one of the 70,000 houses that are broken into by criminals over the festive season. Local councils and housing associations in the Black Country are missing out on huge amounts of rent because of void properties. This is despite a waiting list that totals thousands of people. A void property is one that has recently become empty and is waiting to be re-let. Insurance companies are also missing out as these empty properties mean families will not take out cheap home insurance until they move into the house. A leading insurance provider has revealed that the vast majority of British home owners are running the risk of their property being under insured. They should choose a policy provides cover for the full reinstatement value, said the insurer. It is argued that property owners should obtain a professional valuation for insurance purposes. Any valuation provided by a bank or estate agency is unlikely to give a fair reflection of the cost of rebuilding a home. Blackspots VS Safespots for Burglary In The UK. In the UK, there are some blackspots that are notorious for thefts and break in’s. As a rule of thumb, you will often find that the crime rate depends on the density of the area. You will find that in rural areas, the crime rate is typically lower than you will find in higher density city areas. Below are the most notorious areas for household theft and burglary. Homeowners in the North West of England may find themselves paying higher home insurance premiums in the future as scientists working for a drilling company admitted that that their gas exploration activities probably caused the two minor earthquakes that hit the region earlier this year. Is your home winter ready? © 2019 HomeQuoteDirect. All rights reserved. Cookies are harmless files which can help improve the experience. Cookies allow websites to respond to you as an individual. The website can tailor its operations to your needs, likes and dislikes by gathering and remembering information about your preferences.